The best advice regarding your own cat is simply to keep him indoors during the winter. You’ll protect him not only from engine dangers but also from becoming lost, stolen, or injured. Jane Harrell, Editor-in-Chief of AdvoCats and President of ‘cause Digital Marketing, is no stranger to the devastation that can be caused simply by turning a key: “I’ve been in the pet industry for thirteen years, and every year there is a story that comes up about a cat that’s gotten trapped in a car [engine]. I’m hoping we can share the message about this and help save a lot of cats out there.” To keep your own cat safe, Jane suggests simply keeping him inside during the cold months. “If you allow your cats outside they are more likely to seek a place of warmth, and underneath or inside a car’s engine are two very warm spots,” Jane says. After you’ve made plenty of noise, be sure that any cats have had time to run away. Cats can tuck themselves into the tightest of spaces and may need a little extra time to wiggle out. 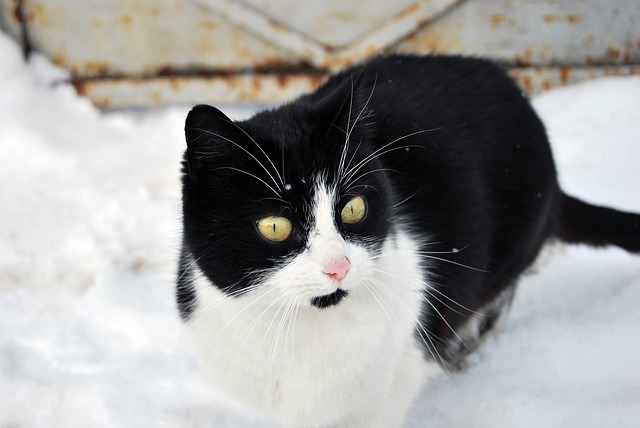 Fortunately, by following these precautions — and any cold-weather cat care advice your veterinarian has to offer — you can help keep cats safe during the cold weather months.